For almost 3 months, bags of render have been sitting in front of the house, and every visit we have wondered whether it would be done. It had been there for so long that I had given up on it happening until after winter when the weather improves. 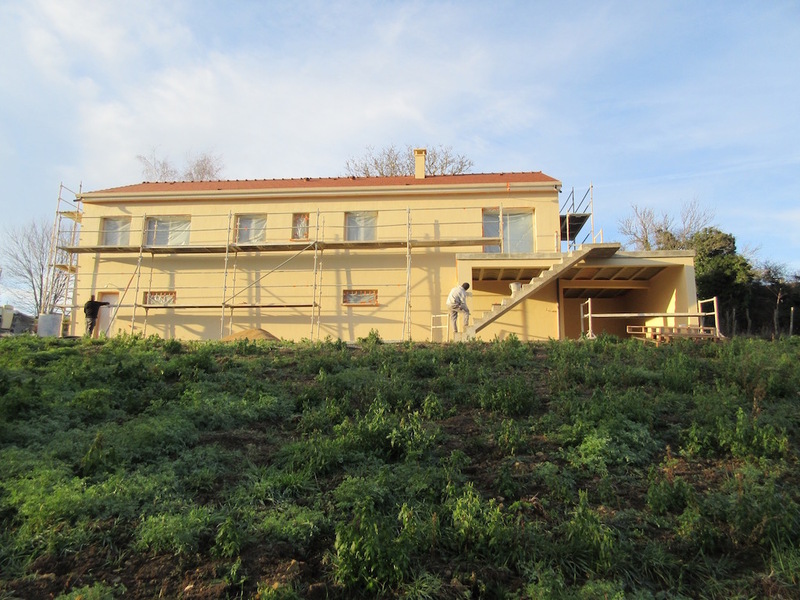 But this visit we arrived to find the renderers on site, taking advantage of a few clear, mild days. 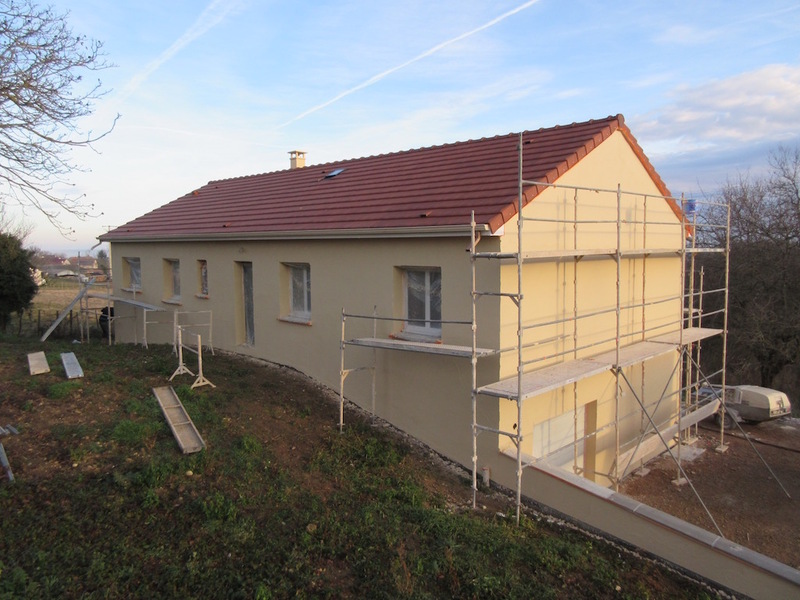 They had applied the thick coat of coloured render material and were working their way around the house scraping it back, creating the final texture. It was the first time we had seen the colour since choosing it from a tiny colour swatch. It was not our first choice, but one of a handful of colours proposed by the local mayor. As such, we wondered how we would feel about the colour when applied to the entire house. I like it more than I expected to. Transformations were taking place inside as well. The concrete had been poured over the underfloor heating pipes. We couldn’t see it though. 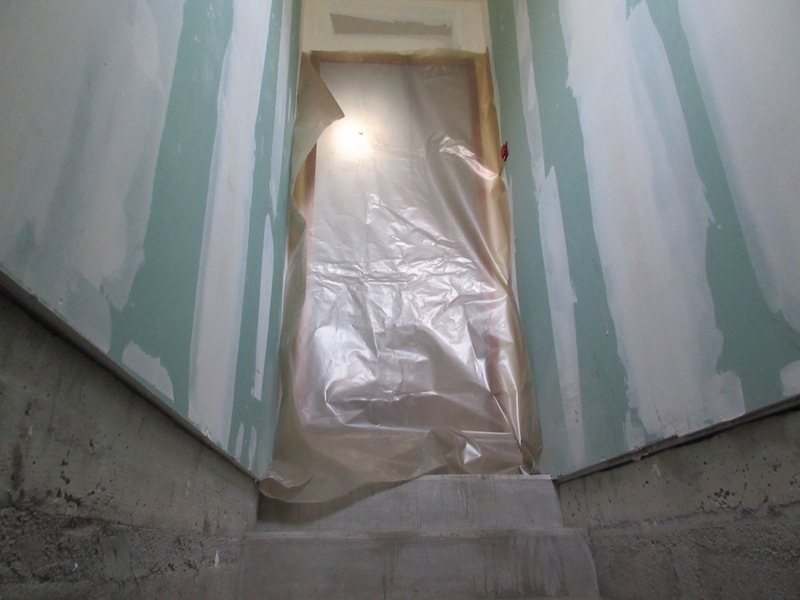 There was plastic sheeting taped across the doorway, and we weren’t allowed to even peek inside. The air needs to remain still while the concrete dries. It is a good time for it. Both us and the project manager are on holidays for a couple of weeks. It is reassuring to leave it at a stage where not much is happening. Watch the video for this visit. Published on 16/01/2017 by Megan Miln.